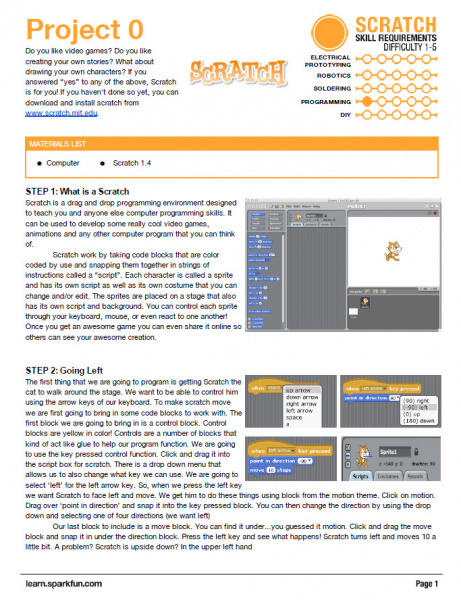 Scratch is an open-source application developed at MIT to teach students to program using drag and drop blocks. You and your students can quickly create interactive animations, games, or presentations. These HotSheets are sets of single sheet (front and back) instructions to help a learner work through building skills and learn something new on their own in small steps that build on one another.